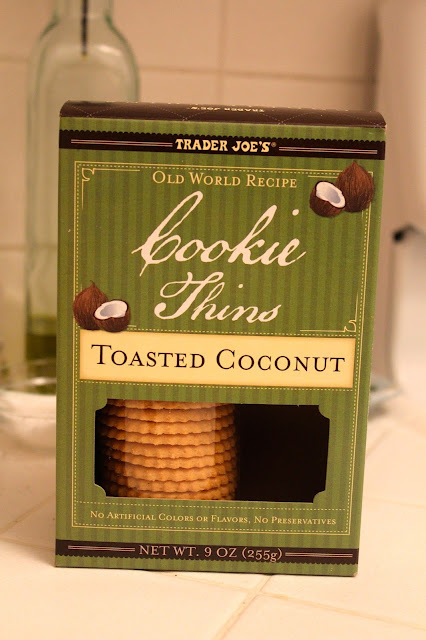 About a month ago I stumbled upon the Toasted Coconut Cookie Thins from Trader Joe's you see in the picture above. On their own, they're a yummy treat with coffee or tea any time of the day. But with chocolate, they're incredible. Since one of my favorite combinations is coconut and chocolate (hello Bounty Bars! ), I decided a little chocolate ice cream would be the perfect pair for these thin cookies. I just scooped about a tablespoon of Haagen Dazs chocolate ice cream in the middle of one cookie and topped it off with the other. They are so crunchy, bite sized and delicious. I've served them several times since then and they've been a hit each time. 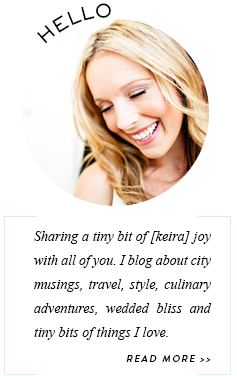 Try them out and see what you think! Hope you all have a wonderful week and fabulous Labor Day weekend!